The Canadian company Lumenera and Japanese firm Tamron have partnered to create a new camera that has now received the FIPS 201 certification to meet specifications for PIV requirements for facial image capturing systems. The Lu375C camera is a USB 2.0, 3.1MP color camera. 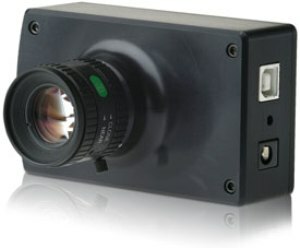 Its digital interface provides uncompressed images in still image captures. It can also capture live streaming video. It features 2048×1536 resolution with on-board processing. The camera comes equipped with Tamron’s M12VM412 CCTV lens. The lens has a focal length of 4-12 mm. Its f/1.4-close aperture provides images in low-light conditions. It has afocus range of 0.3 m, manual iris, zoom and focus with lock and in air back focus of 9.05 mm to 18.90 mm. The lens surface is multi-coated to reduce ghosting and flare in backlit conditions. The joint product is being geared toward companies needing images for industrial and security applications.